One country. One faith. One crown. That was the vision of Isabella I of Castile and her husband King Ferdinand of Aragon. Together they reigned for over thirty years, working tirelessly to unite a country that was constantly at civil war. We first meet Isabella at her humble beginnings. Her father the King of Castile has just died and his son from his first marriage, Enrique, is to inherit the thrown. Enrique and his advisers quickly remove Isabella, her brother Alfonso, and her mother from court. They are given a small country house with little to no resources and are basically forgotten about. Until one day when Enrique finally has an heir. To celebrate the birth of his daughter, Joanna, Enrique invites both Isabella and Alfonso to court to stand as supporters. There is one problem thought….Joanna might not be Enrique’s daughter. Enrique’s wife, Joan of Portugal, was accused of having an affair with a man at court which resulted in her becoming pregnant. Now half of the court recognizes Joanna as Enrique’s rightful heir while the other half consider Alfonso the rightful heir. If Enrique can make Alfonso and Isabella stand in support of Joanna, then he hopes the rest of the court will accept Joanna as the heir. But as is often the case with courtiers….there are some who have other ideas and schemes in place. While at court, Isabella has be brief encounter with the charming Ferdinand of Aragon. At the time, he is only a boy of 13 but he is sure they are destine to be together. Isabella can’t help but feel an attraction to him but before they can go any further in their courtship, Isabella and her brother Alfonso are torn apart by the feud and Ferdinand is summonsed home to fight for Aragon which is being invaded by the French. As the years and conflict carry on, is becomes clear, Isabella of Castile is destine for greatness…though no one expected it from her…..but greatness is in her future. Truth be told, I know next to nothing about the politics and history of Spain, particularly of that era. So when I picked up this book I didn’t really know what to expect. The plot sounded intriguing, I love historic fiction about women….especially queens of course. Since I don’t know a lot about the period, it’s harder to sort out fact from fiction. I always worry about fiction novels that seems to have the suggest an element of biographical work. I like to read one or the other…..fact or fiction. However, this novel was so well written, it didn’t come across as stuffy and boring like some biographical non-fiction can be, but then it also didn’t read like a fluffy historic romance novel either. 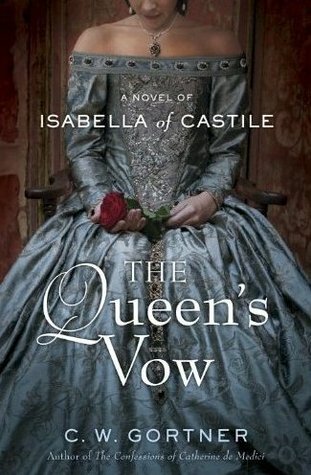 I loved reading about Isabella, I had no idea that she was such a visionary queen! She came across as strong but not tyrannical. She was nieve about court life and politics but I loved that she followed her heart and let her conscious be her guide….that quality alone endeared her to me as a reader. Fernando (aka Ferdinand), was equally as interesting. Though the novel wasn’t entirely about him, I felt like I got to know so much more about him. I loved that he wanted to rule together with Isabella and was willing to share that with her and respected her wisdom and leadership. I enjoyed Gortner’s writing style. He was to the point and did a fantastic job keeping the story moving. The only issue I had with the writing style was the occasional use of modern slang. Beatriz for example, used a lot of modern slang which I didn’t necessarily feel like distracted too much from the novel overall but when I read it I felt like it was distracting at the moment if that makes sense. The biggest issue I had with the novel was the last 30% or so. Gortner did such a good job building up to Isabella’s ascension to the throne the first 70% of the novel but then the final part felt too packed and contrite. 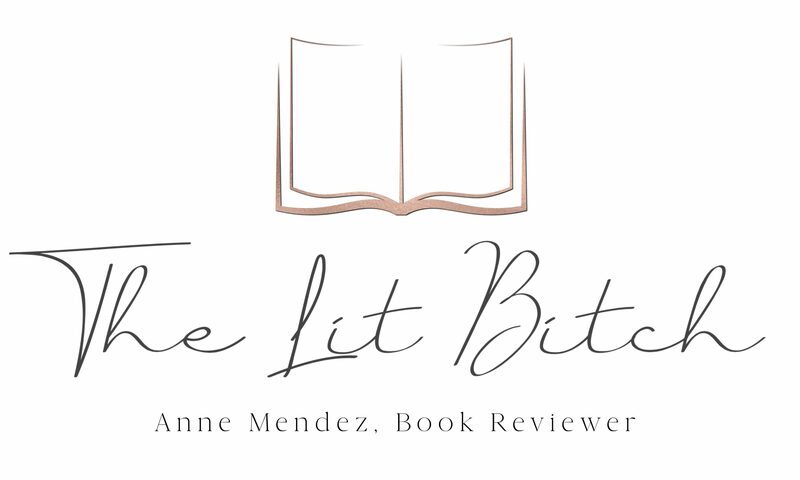 I felt like the novel would have been better had Gortner just focused on her struggle to gain the throne and the love story between her and Fernando. I realize there was a lot more to her story than just that but trying to cram it all in at the end was sad for me. It felt like the remaining years were just glossed over. Maybe saving those final years and putting them into a second book would have been more effective? Either way, the novel still held my interest. I loved the characters and even though the Tudor era is a very saturated and popular literary period, I have to say this is novel is a breath of fresh air. It focuses on a relatively unknown country and queen….so that aspect alone kept me blued to the book page after page! I also want to praise Gortner on his ability to tell the story of a woman. At first I struggled with the idea that a man could write a novel told from a woman’s perspective….this is a novel about a women, for women but written by a man?? I was skeptical, however he turned me! I was blown away by his ability to tell Isabella’s tale! Spectacular! One final comment…..how can you NOT love that cover??? In a word….EXQUISITE! God heeded us always, especially in our darkest hours. Sometimes we must act against our hearts, because it is the right thing, the only thing to do. Interview at WTF Are you Reading? Thank you so much for this terrific review. I’m honored by your praise and hope your readers enjoy THE QUEEN’S VOW. I’ve read such good things about this book on a few different blogs and look forward to reading it!